Squish is just a little rabbit, but being little leads to big dreams … Most of all, Squish dreams of having a pet. Squish wants a puppy, but he doesn’t know where to find one! With the help of his best friend, Twitch, Squish sets out to find the pet of his dreams. 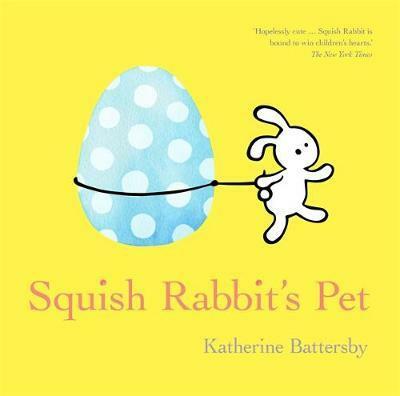 A tale celebrating the joy of friendship and the fun of pets from the CBCA Crichton Award shortlisted author, Katherine Battersby. Printed with a squishy cover perfect for little hands!